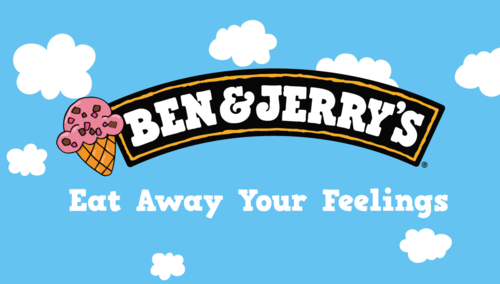 Ben & Jerry’s no longer is the wholesome treat it used to be. Owned by Unilever it has lost much of the integrity it used to be famous for. Polysorbate 80 anyone? Found in commercial ice cream, heavy cream and whipping cream all over the US. It’s a coagulant substance used in glue. It’s also found in the gel in diapers and known among other things to be a neurotoxin causing infertility, anaphylactic shock and death. Of course it can also be (often in our little ones, teens and college students) taken via intramuscular injection by those who are pushed to follow the US recommended vaccination schedule. As soon as I see polysorbate 80 mentioned on a label, Gardasil comes to mind, in which you find it served up mixed with another dangerous neurotoxin: aluminum. Currently aggressively marketed to pre-teens, teens and college students for cancer, genital warts and STD prevention, this untested vaccine has caused too many girls who were preparing for the prime of their lives to drop dead, become sterile or sustain serious and bizarre neurological damage. Meanwhile legislators around the country are bought and sold to do away with parental knowledge and consent so that this vaccine can be pushed on young students in middle school through college. One of the lead developers of this vaccine has expressed concern on quite a few occasions, about its safety and efficacy. In this video she describes what happens with HPV when you do nothing. Assess your own risk vs. benefit ratio. To learn more about the art(ifice) of commercial ice cream making, how to make your own, and more alarming facts about Polysorbate 80 and other non foods that have made their way into most ice cream, here is the scoop. The movie “Bought” offers more insight on how chemical, pharmaceutical, and food conglomerates as well as governments are in cahoots with each other, encouraged to turn a blind eye toward human suffering in favor of “the bottom line”. Available for free viewing until May 25. At Taughannock Falls the legend of Taughannock is depicted as a warrior chief that is hoisted overhead by his conqueror of the Cayuga tribe, and then tossed over the cliff to fall to a most honorable death. It never made sense to me, as every time I visit this sacred place, I feel such reverence for the Divine Feminine, the Goddess. Yesterday again I was feeling it so strongly, I still am today. And now I have found this gem of a story that has been shared among natives. It perfectly conveys the energies that are so prominent at these falls. 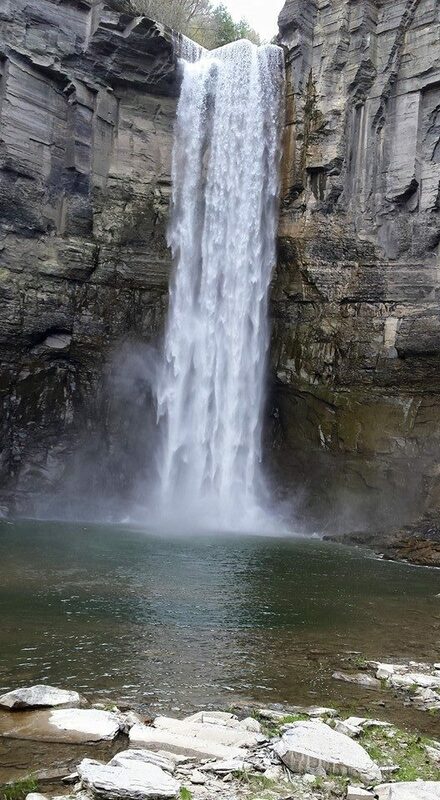 Taughannock Falls, Trumansburg, NY near Ithaca.